Calavi (Agenzia Fides) - Care and reintegration of the mentally ill, who in Africa are marginalized even by family members because they think they are carriers of evil spirits: this is the responsibility of the Saint Camille Association, founded by Gregoire Ahongbonon, Beninese of birth but forced to emigrate to Bouaké, Ivory Coast. 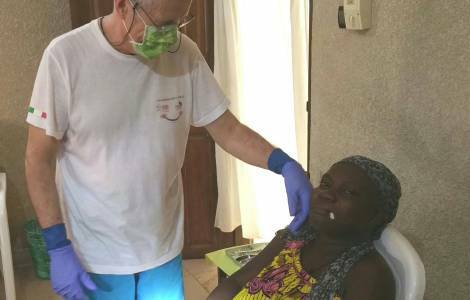 "The number of patients cured is remarkable, especially if we bear in mind that patients are not hospitalized as in our psychiatric wards" says to Fides Dr. Francesco Andaloro, an Italian dentist who recently went to Benin for the project "A smile for Africa", which takes care of the poor. The doctor, who works with the religious of the Society for African Missions, SMA, tells Fides: "Under medical and pharmacological control, these people live as if there are in a small village, they do a lot of recovery activities all together. Many of them are then reintegrated into their families of origin. In 2017 there were 3,771 new cases and over 68 thousand consultations, 4,430 patients were admitted in the centers of Benin. 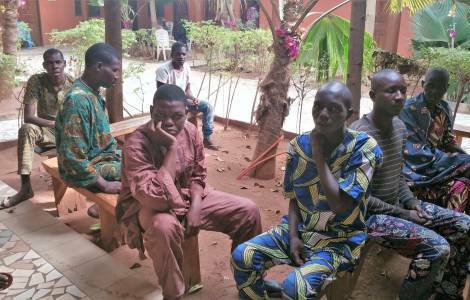 Of these, 97% were reintegrated into the family while 1% was reintegrated into rehabilitation centers. What is striking is that all the people working in the various centers are all former patients who decided to stay to help other people". 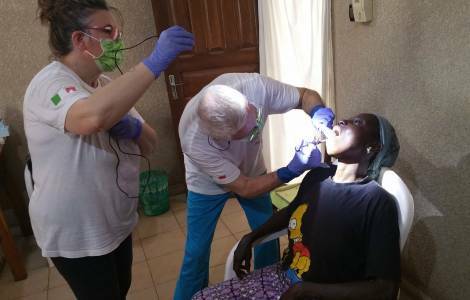 "It was a completely new experience, not easy but with enthusiasm we overcame the difficulties; our mission has allowed us to treat all the mentally ill people, who are also in need of dental care", says Andaloro. In addition to dental services, "what remains in our hearts is the certainty that the path undertaken with the project "A Smile for Africa" is being carried out and as we move forward we add small pieces to improve even more". "One day - continues Andaloro - accompanied by Fr. Filippo Drogo, SMA, we went to the family home run by nuns in Ouidah, the ancient colonial capital of Benin. Here there are thirty children, abetween 3 months and 14 years of age, abandoned by their parents, or orphans. During the day spent with them we visited and looked after all the children, and also the staff present in the center.